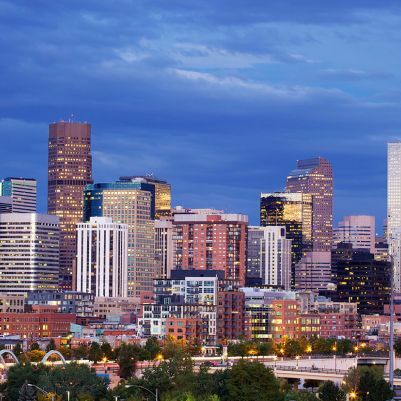 Join Denver Recruiters for a premier professional development conference with 250+ of your Recruiting and HR peers, on Thursday, May 10th, 2018! 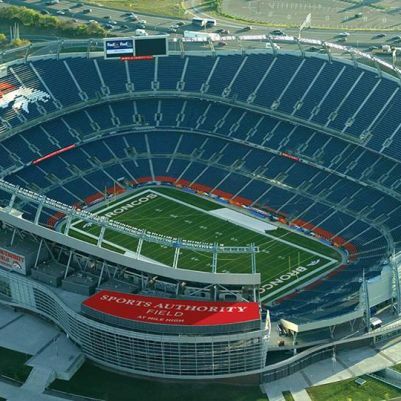 The event will be held at the Sports Authority Field - Mile High Stadium in Denver. Shannon Smedstad is a principal employer brand strategist at exaqueo (ex-ack-we-o), a premier employer brand experience firm. With nearly 20 years of talent acquisition, employer brand, and employee communications experience, she is passionate about connecting organizations and people. Working with both U.S. and global clients, her experience includes consulting in the non-profit, pharmaceutical, luxury hospitality, insurance, and tech industries. Before joining exaqueo, Shannon was the Employment Brand Director at CEB (now Gartner), and prior to that she led employer branding, and built campus and social recruiting initiatives at GEICO. Over the course of her career, Shanon has served as an agency and corporate recruiter, directed more than 25 employer brand videos, managed the Career Services department for a non-profit, and trained recruiting teams. She has a deep understanding of career sites, university recruitment, employee referral programs and social media. Her work has received Graphic Design USA, Potentialpark Group, and Glassdoor awards. She has been named a Top Employer Brand Influencer and featured by SHRM and Business Insider. Shannon graduated with honors and a B.A. in Speech Communication at Shippensburg University. She enjoys writing and leading two Girl Scout troops, and lives in Pennsylvania with her husband, two daughters, and a dog named Taco. Luke Doubler is an innovator in talent sourcing. He has trained 1000s of corporate and agency recruiters to be the best at what they do: source talent to achieve a purpose. His listen first, transformational leadership style and commitment to peer development is unique in the search firm industry. 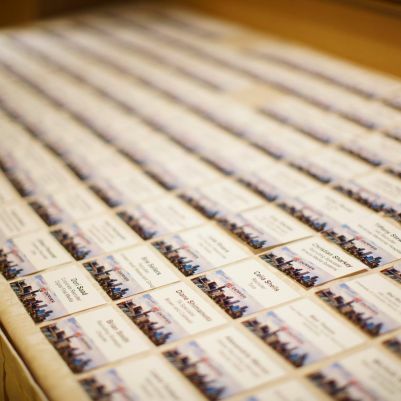 Dozens of speaking engagements on sourcing topics ranging from national audiences to local meet-ups. Bryan Johanson is the Chief Operating Officer of The Adler Group, a consulting and training company specializing in hiring process re-engineering and recruiter and hiring manager training. He has been consulting and training for the last 12 years with companies as diverse as Bank of New York Mellon, Royal Canadian Bank, Wells Fargo, Arby's Restaurants, Panda Restaurant Group, REI, and the YMCA of the USA. His previous career includes over 15 years experience in management, the majority of which has been in high technology sales and marketing. His leadership experience in start-up companies and Fortune 500 companies has provided him with a unique perspective on the issues of hiring top talent. Many organizations focus employer branding efforts primarily on talent attraction. But there has to be a connection between your external talent acquisition and your internal talent retention strategies. Let Shannon Smedstad, principal strategist at exaqueo, the premier employer brand experience firm, guide you through the employer brand lifecycle, and the moments that matter to the people you want to hire and keep. Walk away with a more holistic view of why your candidate experience matters and what you can do to affect it right now. Luke Doubler, owner of the technical search firm RecruiterCentral and former recruiting leader for Target and Cargill will present on "From Recruiter to Blogger to Business Owner, lessons learned from a top blogging innovator"
He and his wife Kate Doubler, Registered Nurse, BSN, and founder of the blog www.realfoodrn.com have touched millions with their message of healthy, whole food diets. During this session, Luke shares lessons learned with his wife and will give you new and innovative ways to incorporate tools and tactics of a successful blogger into your recruiting routines. Do your hiring managers automatically see every candidate you recommend? Do they ask to see and review all the resumes you get for a particular opening? Do they want to personally screen all the candidates before setting up the face to face interview? Are you a vendor, partner or coach? Depending on how you first engage with your hiring managers, you set the stage for the nature of your relationship with your hiring manager from that moment on. The best recruiters know exactly what they need to accomplish in that initial meeting, where they can add the most value, and how to set proper expectations with each hiring manager. And that’s true for both corporate and 3rd party recruiters. In this session, we’ll outline the core agenda for the intake meetings - what you absolutely must accomplish and how you can ultimately set yourself up for success. How to work with a hiring manager to fully articulate the Employee Value Position from the candidate’s perspective. How to get managers to consider the top talent that may not quite meet their initial requirements -- High potentials. How to engage every member of the management's team as talent scouts. How to set realistic expectations on the nature of the market and the talent you are sourcing.